Today, Apple announced two new music services: iTunes in the Cloud that will let you download your purchased music to any of your Apple devices and iTunes Match that will let you put all of your ripped CDs into the cloud so it can be sent to any of your Apple devices. With these two services Apple has leapfrogged both Amazon’s and Google’s most recent cloud offerings. Unlike Amazon and Google’s cloud music services that require you to upload each track you own to the cloud, iTunes Match can check to see if Apple already knows about your tracks and if so, bypass the lengthy upload. Uploading my modest collection of 7,500 tracks to Google Music took about 3 days. Steve Jobs says this will take ‘minutes’. I’m done ‘buying’ music – the best music value is the music subscription service. For $10 a month I can listen to just about any song, anywhere at anytime. As our devices become permanently connected to the cloud, the value proposition of having access to millions and millions of songs for a few dollars a month will become obvious to all. We will switch from owning music, to renting music. The music locker services being released this year by Apple, Google and Amazon, will be momentary blips in the history of music distribution. In a few years, you will be as likely to purchase a song as you would be to purchase a VHS tape of The Guild. I was really hoping that Apple would skip the music locker completely and release an iTunes subscription service. But alas, we will have to wait a few more whiles. In the mean time, there are plenty of music subscription services like Rdio, Spotify, Rhapsody, Napster, Mog and Thumbplay that will really move listening to the cloud. This entry was posted on June 6, 2011, 4:03 pm and is filed under Music. You can follow any responses to this entry through RSS 2.0. Both comments and pings are currently closed. Streaming services are nice for mobile use but as a music enthusiast, do you really want to depend on a streaming service for all your music? Until both my ISP and the “cloud provider” can guarantee lossless audio streaming, I will never fully depend on such a service for my music library. I care too much about the fidelity of the music I listen to. Plus, I see it as a diservice to the musicians and engineers who slaved over producing this music, only to have it reduced to a 128kbps MP3; never having listeners hear their complete vision. Ed – Unfortunately, you are in the minority. The vast majority of music listeners have chosen convenience over fidelity. Earbuds and low bit rate Mp3s win because they are easy. @Ed, with a Spotify premium you get MP3 at 320kbps, and the streaming experience (I live in Mexico, not in the old Europe) is very good! I totally see what you are getting at here. Pardon the Luddite knee-jerk, but what about artists getting paid? I have been enjoying the past few years of buying (or “buying”) music because I would go to the artist’s web site and find a way to directly give the band money in exchange for MP3 access, a CD in the mail, or both. I have developed a natural search algorithm where the profit margin for the artist is as high as possible. This is in addition to the constant live show attendance. My main concern with the otherwise obvious logic of your subscription utopia is that it will lock in artists to this or that streaming service and be dependent on that aggregator for remuneration. Not only do I see that as a step back from paying musicians directly for their music (either live or recorded), but I fear the consumer would be forced to choose between multiple services, all with their own set of artists they have under contract. Apple, Google, Amazon, et al. become the new labels with the same old set of artist-exploiting tactics. Aaron – the labels (at least in theory) represent the artists – music subscription services give lots of money to the labels for the right to stream music to their customers. I think the appeal of music subscription service is so high people that many more people will be drawn into paying for music than they do today with the current model. The overall pool of money spent on music will be bigger which means more money for artists. I agree. For this we lost LaLa.com? Thumbplay is lost to Clear Channel and Rdio seems limited in its library. Even though $25/year isn’t a bad price, I kind of expect more in a cloud-based music service. Ed – Spotify Premium streams at 320kbps. That ain’t bad. As for the compression, do you only watch films in the cinema? Or do you rent them on DVD? See what I’m getting at? I totally agree with you Paul, and I still don’t understand why people don’t use music sub services as they should. Paying a few euros per month and listening to whatever you want is a dream, it’s something that 3 years ago seemed impossible, now it’s real but people still want to have files on their own PCs. Ed I can partially understand your point but there are services that allow you to cache the mp3s so you can listen to them even off-line. About the quality: well you are right but I think that nowadays most of the music is listen through low quality devices so I don’t know if you really can see a big difference between a 128k mp3, a 256k mp3 or a CD…well it also depends on the music you listen. Spotify Premium support streaming up to 320 kbit/s using the Ogg Vorbis q9 codec. But really, the advantages of streaming so completely dominate the potential quality issues, I don’t think there’s any question that Paul’s right — it’s the future, and downloading music will be the realm of people who like to futz with ID3 metadata, or those unable or unwilling to pay for music in any form, ever. @Aaron that’s a very good point of discussion, I also see the possibility that Amazon & c. will become the new music labels but again, I can see many more advantages than disadvantages. Consider that those new “labels” could probably provide “contracts” for much much more artists than before. Also, artists can still sell cds, vinils or whatever and you can still support them. Param – Thanks for the articles, interesting reading. Here in the U.S. For the cost of a good meal I can an unlimited 3G data plan, so it seems the economics are much better here, then where you are. Most subscription services allow you to cache a large number of tracks so you can listen to music even when you are not online. Paul – Thanks for sharing your thoughts on this. There’s definitely a natural tension developing between cloud services and streaming/subscription services. For those customers that do want to take advantage of the cloud services, one thing I think most people are underestimating is the time it takes to prepare large CD collections for the cloud. It takes on average about 5 minutes to rip a CD through iTunes (and the net result is a compressed file). So someone with 300 CDs (which isn’t a large collection for anyone over 40!) would have to spend 25 hours ripping their collection to be able to get it to the cloud. That’s a major hurdle most people won’t bother with. (shameless plug here) – I work for a company that will actually do this service for you (RipDigital http://www.ripdigital.com). We take entire CD collections, rip them, and hand check the meta data. 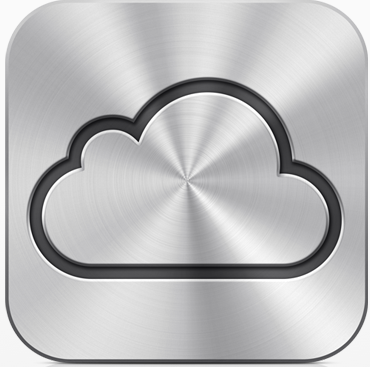 Not only that, we can rip CDs to lossless format so you can have high quality files – but still take advantage of Apples’ iCloud service since it’s based on matching meta data. Everyone says they just rip their collection one weekend but who wants to spend hours and hours staring at iTunes work through the ripping? We’ve made the process so simple and cheap, it’s better to outsource it! Personally I think that both models will be able to exist – Cloud services as well as subscription services. It all depends on whether those subscription services can create interfaces that are easy to use, elegant, and work just as if you owned all the music. I really think the user experience is what is going to drive adoption of subscription based services. Pandora is great to discover new music but the fact is, sometimes I just want to listen to U2’s War in it’s entirety! The subscription services seem like a no-brainer but I suppose it will take a while for people to get to see Paul’s point about “owning” music. That’s proven to be an illusion. The subscription concept pays artists more fairly in that it involves what people are actually listening to. As long as folks are uploading and downloading files, there will be piracy. For those who want the highest quality recordings, I’m sure luxury services will come into play, streaming higher quality music for a premium.